Almost every adult in this world must have said this once in his/her lifetime – “Childhood was the best time of my life!” The statement is true in every sense. Childhood is indeed the most beautiful time of our lives. It’s the time when entire world is your playground and sky is your canvas in which you paint with your innocent imagination. The childhood is the golden era for one and all and that’s what makes Children’s Day a very special occasion for all of us. 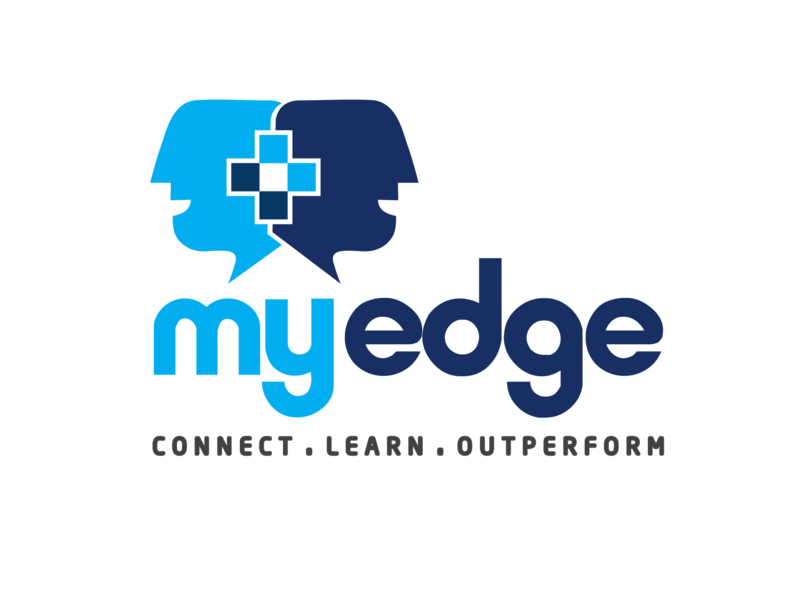 Whenever there’s a talk about health of students in our social circle, the most common words we hear are “Get up in the morning and everything will be fine” or “eat green vegetables and you will stay healthy forever”. 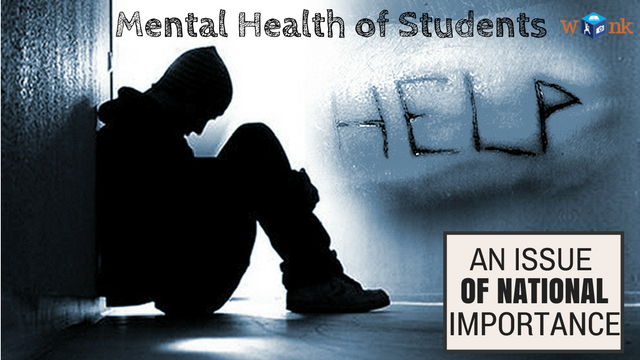 We are not questioning these general beliefs about health, what we are questioning is the facts that never, have we ever, came across a discussion on the mental health of students in India. Board examinations are over now but during that period, parents fussing over their child’s performance was a largely common phenomenon. A new study reveals that parents, who over-monitor their child’s academics and throw fits at their slightest failures, can actually make the child less productive! Such attitude can also cause anxiety issues in the children and affect their overall performance. Though it is imperative for parents to worry about their child’s future, however parents are advised not to go overboard with their expectations. Only parents can motivate the child and provide perfect environment for their academic growth. They must always remember that a healthy emotional setting can never be provided by a school if a child is facing emotional turbulence at home. It is best to ensure that the child enjoys a protective upbringing where parents keep them away from family conflicts and avoid overburdening them with academic concerns. Parents can be the biggest guiding hand in the academic span of their child’s life. From planning, organizing and setting a time-table to encouraging discipline, direction and focus, parents can gently lead their child through various aspects of life. It is also necessary to instill a constant sense of confidence as it is easier for a child to get bogged down by deteriorating grades. Parents should best avoid nagging and displaying angst, and should rather get involved in working out their child’s schedule and understanding the barriers they face while learning. Parents should set realistic achievement goals as per the child’s capability and stop harping on their previous failed attempts and outcomes. Sometimes expectations can wound children emotionally and push them towards adapting a resilient, or say, rebellious nature, where they would rather prefer to be criticized for being lazy than being considered not good enough. 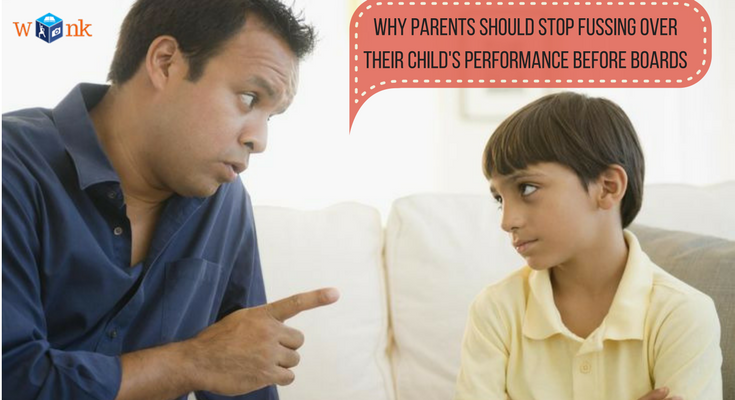 Also, children might stop trying at all instead of trying hard and failing, which can lead to overall under performance. Parents are not made of rocks, they are emotional beings too. Thus, a pinch of humor here and there won’t hurt at all. Humor is the best remedy for relieving tension and it helps in creating a healthy environment in the house. Also, there’s no harm in praising children when they do well. In fact, it is best for boosting the child’s performance with positive statements like “well done”, “we know you can do better” rather than saying “it was not enough” or “we didn’t expect such grades from you”. Lastly, exams are not the end of the world. Parents should try to gain their children’s trust to share and discuss their problems and help them find appropriate solutions. It is important to understand that in the long run, children should choose their own path and be themselves rather than copying someone else. Every child is unique in his/her own way and it’s not wise to compare a child with another. Parents should be the ultimate comfort zones for their kids where they can relax and outshine themselves. So, are you that cool parent that your child needs you to be? If not, it’s never too late. You can be one this year!